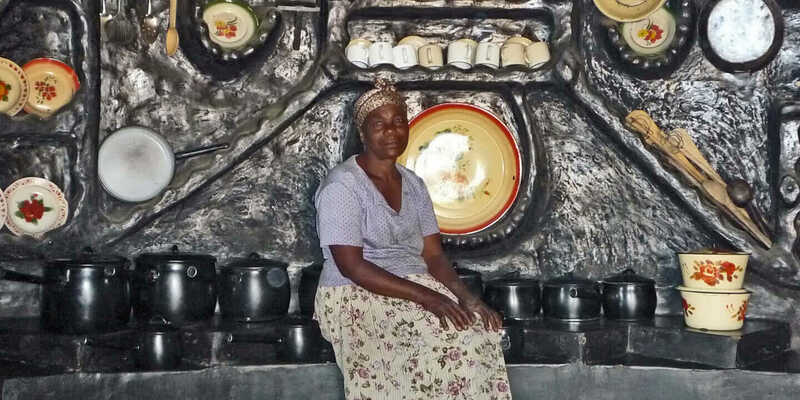 Mafundikwa's neighbor Mrs. Mhlolo and her artful kitchen in Zimbabwe. Courtesy ZIVA. For ZIVA founder Saki Mafundikwa, tapping into and examining the past is essential to his mission of getting African artists to look to their roots—and within themselves—for design inspiration. After fleeing his native country in the late ’70s during the civil war, Mafundikwa embarked on a journey that took him through Indiana University (for undergraduate work), Yale (for his MFA), and New York (with a job teaching Experimental Typography at Cooper Union). But in 1997, he came home, both physically and mentally, to help inspire a new generation of African artists and breathe new life into a unique community of makers. 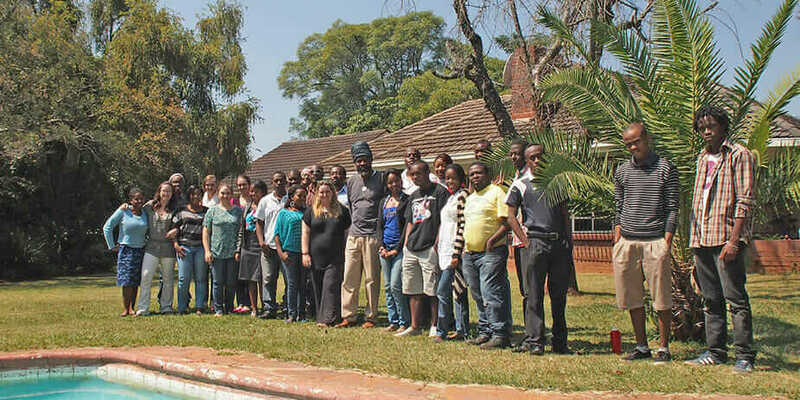 A ZIVA class in Zimbabwe. Courtesy ZIVA. In addition to founding ZIVA (Zimbabwe Institute of Vigital Arts), Mafundikwa is also working with the Zimbabwe public works department to repurpose its discarded polyethylene bags into mud casings—casings that will provide the foundation for dwellings that are cost-effective, environmentally friendly, and, most importantly, locally inspired. The “V” in ZIVA stands for “vigital,” Mafundikwa’s coined term for visual arts taught with digital tools. 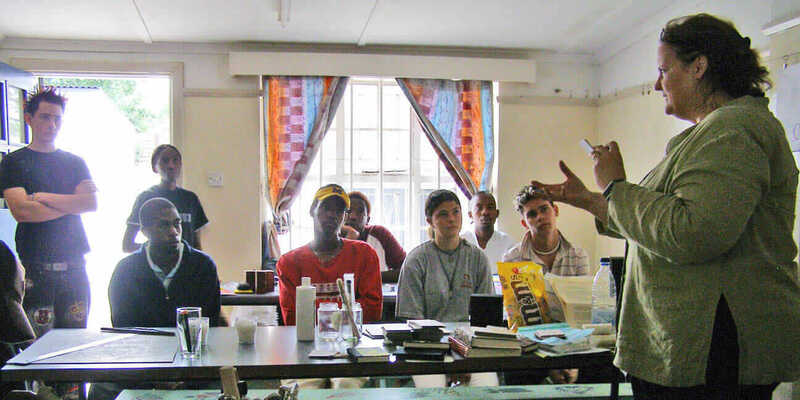 The school is small and offers courses like History of Art and Design, Advertising Design, New Media, and Animation, a curriculum informed by a recent partnership with Autodesk. 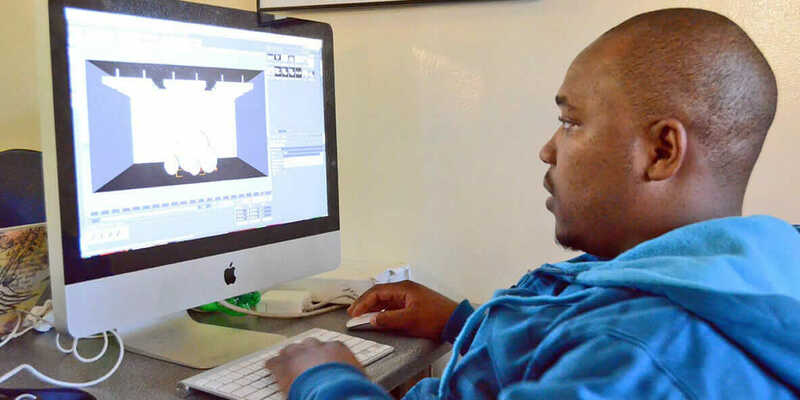 The deal memo, signed in August, provides ZIVA students with free access to multiple Autodesk software suites, but was recently expanded to include all Zimbabwe residents who are looking to advance their education or career in animation. But access doesn’t necessarily equate to inspiration, especially if you’re hoping to motivate people—particularly young people—to “look within,” as Mafundikwa suggests. It’s not about technology; it’s about pride. It’s about looking at intricately molded alcoves in a kitchen as art, not simply a place to store plates and mugs. It’s about looking at a lacquered block of mud and seeing interior design, not just a place for grandma to sit. But slowly the narrative is beginning to change. A collaboration between French designer Matali Crasset and local basket weavers on display at the country’s National Gallery was curated to help promote traditional Zimbabwean weaving, but where most people saw patterns, Mafundikwa saw pixels. After being moved by the work of a local wire craftsman, Saki invited the artist to ZIVA and introduced him to a different kind of wirework. “David, my animation guy, showed him a wireframe. I said, ‘Do you think you can do that?’ He said, ‘With wire? Absolutely!’ I said, ‘No, not physically.’ He was brimming with excitement. He said, ‘If I can do this sort of thing, I don’t have to sit in my office and have all kinds of apprentices laboriously doing stuff by hand.’ He’s going to start at the school in January. Student at ZIVA in Zimbabwe. Courtesy ZIVA. What if the stone sculptor is given the ability to model in virtual space? What is pottery-making if not subtractive manufacturing of a different sort? A master specializing in beautiful thatched roofs incorporates a villager’s buffalo totem into his design—customization at its finest and most spiritual. If you broaden the mindset and expand the toolkit, creativity takes flight. The challenge, as Mafundikwa has stated, is making sure that creativity returns home. ZIVA students have gone on to further their education at schools like Yale, Cooper Union, and the University of Johannesburg, while others have had winning animated shorts in the New York Film Festival. It’s Mafundikwa’s dream that from these minds will come the resource material and curriculum—books like Mafundikwa’s Afrikan Alphabets—that will forge the foundation of the new African design doctrine, and, even more adventurously, reclaim the narrative of The Great Zimbabwe.